Every five years, a major update of the Transit Development Plan (TDP) is required from Charlotte County government to maintain continued eligibility for Federal Transit Administration (FTA) Section 5307 funds and State Transit Block Grant funds. Charlotte County Transit, which began providing general mass paratransit services on January 2, 2001, benefits from these funds. The TDP calls for a description of the transit agency’s vision for public transportation, along with an assessment of transit needs in the study area and a staged implementation program to set priorities for improvements. 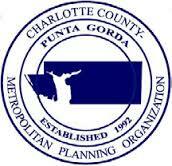 It is also a policy document that integrates transit goals and objectives with those of other adopted plans, including the MPO’s Long Range Transportation Plan and the Comprehensive Plans for both the City of Punta Gorda and Charlotte County. Tindale-Oliver and Associates (TOA) prepared the Charlotte Rides TDP, under joint funding between Charlotte County and the MPO. Data analysis, stakeholder interviews, and public outreach (including two rounds of workshops and surveys of both current transit riders and citizens) were performed. Both a needs component and a cost efficient component were developed. The next plan prepared by Charlotte County Transit will be due by September , 2019.